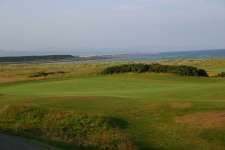 The historic Highlands village of Dornoch, in Scotland’s far north, is home to some of the oldest linksland in the world, primitive golf starting on its seaside common ground prior to 1616. Like in most of the ancient golf towns, however, the game was a marginal sport here until the (Royal) Dornoch Golf Club was formed in 1877. 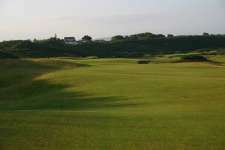 Initially the club golfed on a basic nine-holer, with Old Tom Morris responsible for extending the course and rearranging the rudimentary layout into the links we now recognize as one of the game’s greats. Although many of the Morris holes remain, his course was altered substantially by John Sutherland during his fifty-year tenure as club Secretary, and again by George Duncan after several holes were destroyed during World War II. 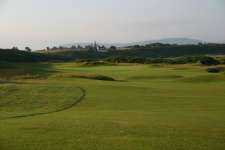 The present Championship links is among the most attractive golfing venues on the planet. 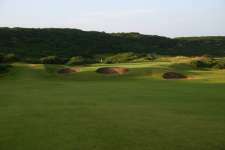 Occupying softly contoured dune ground that follows a curving coastline, the opening and closing holes are played along an upland plateau with the rest heading back along the lower beachside area. 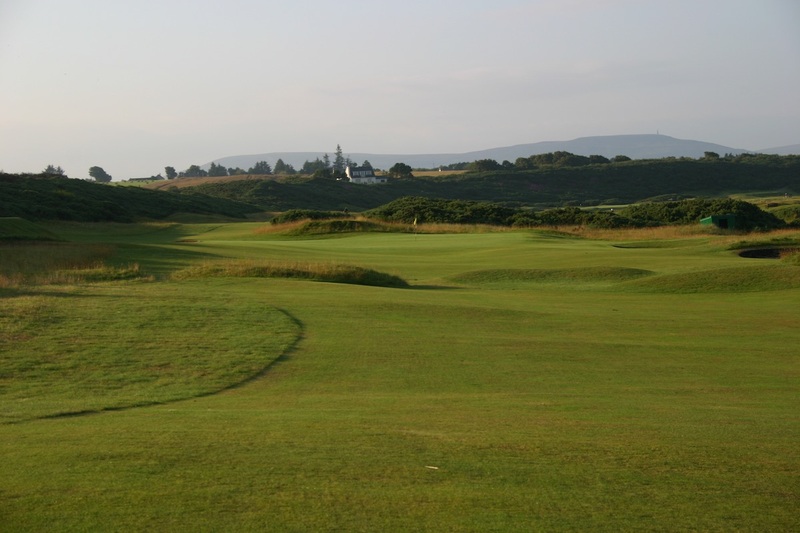 The key features of Dornoch are its incredible green sites. Most are enormous and either built up on natural tables or sunken into small basins with a mix of cunning swales and knolls shrinking actual target areas and seriously complicating recovery play. In terms of your approach shots, the line between success and failure is finer at Dornoch than on any links. The key being not to push too hard when out of position as the greens are tilted to accentuate mistakes and reject anything not coming in from a very precise line and with an ideal trajectory. 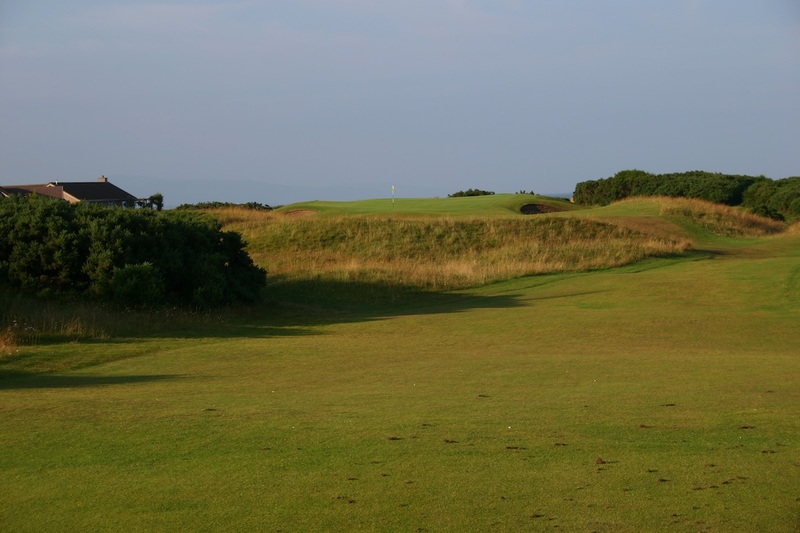 After an inviting opener, the core challenge of Dornoch becomes evident at the short 2nd. Its putting surface, like so many others, is elevated with steep banks kicking stray balls into frightening recovery positions. The first glimpse of the course’s beauty comes as you step through the whins onto the 3rd tee, which looks majestically down over the glorious lower ground and tumbles toward a left-to-right sloping target tucked beyond a small ridge. The next two are an awesome double act, with the deceptively narrow 4th hole featuring a huge green set beyond a valley and cleverly angled to only accept the most perfectly struck irons. The 5th is then an outstanding mid-length par four that forces you to flirt with hazards from the tee in order to set-up a decent shot into another brilliant plateau green. This heavily bunkered target is quite large but feels tiny when approached from the wrong side of the wide-open fairway. 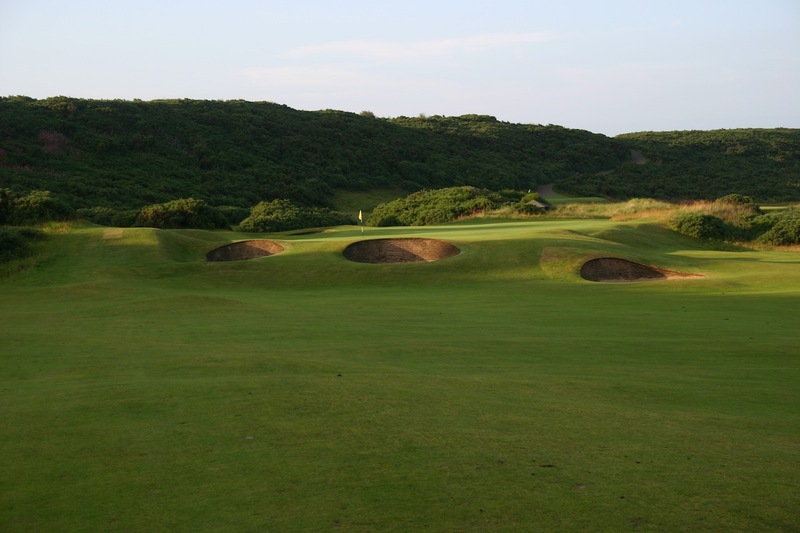 Next up is the six-hole Duncan loop, which begins with a wicked little par three across a swathe of gorse to a tabletop green cut into the side of a hill. Although each of his subsequent holes are excellent, the real standouts tend to reside either side of this solid central section. 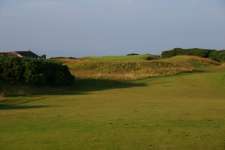 The 12th through 16th, for instance, remains largely unchanged from Morris’ original plan and includes Dornoch’s world-famous Foxy hole, the 14th. This long, left-bending par four is totally bunkerless and features a broad green set on a natural ledge several feet above the fairway. A green in regulation here is an uncommon achievement and from the surrounds your chipping, bumping and putting options are endless, though the positive outcomes are again highly unlikely. The uphill 16th has fewer fans but is noteworthy as it brings you back up to the top shelf and the raw glamour of the 17th, which drops briefly before rising again around gorse and across a sandy ridge into its superb saucer-shaped green. The strong par four finishing hole is a magnificent end to proceedings, the partially hidden target wonderfully situated in a raised hollow beyond a small, but significantly challenging, gully. Though your lasting impression of Royal Dornoch will likely be dominated by the greens, all elements of the course are first-class, in particular the seemingly generous fairways, which actually play quite narrow and provide a stern examination of your driving skills. The remote and romantic town itself is steeped in history, and in many ways it is the tranquility of the experience here, as much as the quality of the links, which ensures that for golfers the longing to return to Dornoch is as strong as for anywhere on Earth.